Amelia is creative, a fast learner, and a hard worker. If she doesn't know how to do something, she will find out. Amelia grew up in a tiny town in rural Ontario, where she was dragged kicking and screaming into acting. After realizing that the theatre world wasn't all bad- she fell in love and pursued acting in every capacity she could. She's played in over 25 plays, including as part of a travelling Maurer Mystery Dinner Theatre troupe that travelled across Ontario, including to Ottawa Fringe Fest. In 2012, Amelia decided to try her hand at film acting. After booking her first ever film audition, as the lead role of Molly in feature film "Fault", Amelia never turned back. 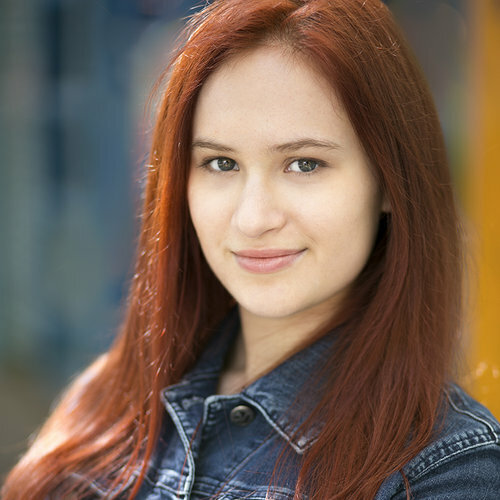 She left for the great city of Vancouver in 2013 to study full time at the Vancouver Academy of Dramatic Arts, and has been in many classes (and productions) since.